The explosion of mHealth apps and patient portals for PHI access demands more modern patient and clinician identification technologies than user names and passwords. 73% of organizations used app-enabled patient portals to increase consumer participation in their overall health and wellness goals as well as meet relevant Stage 2 and Stage 3 Meaningful Use requirements under the Medicare and Medicaid EHR Incentive Programs. Nearly half of those polled stated that “implementation of mobile services for access to information is a high priority at their organization.” Additionally, more than half – 57 percent – indicated that their facility implements a mobile technology policy, which often has a focus on mobile health security capabilities. About one-third of polled healthcare organizations stated that they provide “organizational-specific apps” to the patient community. The idea is for healthcare providers to reach beyond traditional means of accessing PHI (think in person visits) and adopt digital health tools for easier, faster, and more convenient ways of accessing this data (think patient portals and provider mHealth apps). In concept, increasing the availability of tools and platforms to access PHI is a good thing — it caters to increasing patient demand to offer greater PHI accessibility through resources that offer more convenience and are in lockstep with the rise of the digital health movement. However, the explosion of digital tools for PHI access carries an inherent risk that patient identities will be compromised, stolen, or shared leading to a sharp increase in fraud and medical ID theft that poses a direct threat to not only patient safety and provider medical error liability, but also to the rising cost of healthcare. Not to mention the fact that the rising use of digital tools to access PHI compromises patient data integrity which is critical to maintain because of the ripple effect it has on the ability to provide accurate care along the continuum and the confidence it represents to successfully participate in health information exchanges (HIEs). Keep in mind that each time a perpetrator commits healthcare fraud or medical ID theft, the fallout of legal fees, settlement costs, and expenses to restore an identity are passed down to ALL patients in the form of higher fees for medical services. Therefore, collectively there is a pressing need to ensure that adoption of stricter and more secure methods of patient identification must run parallel to the rise in digital tools and platforms for safe access to PHI. Otherwise, patients may not be as willing to use these tools for fear of medical ID theft or unlawful access to their PHI data which directly compromises their safety, security, and privacy. Monetary damages are only the tip of the iceberg for healthcare organizations when discussing the impact of fraud and medical ID theft. It was been well documented that reputation can be negatively effected when patients perceive or a data breach confirms that healthcare providers are not taking the necessary action to increase PHI access security. How can we correlate an increase in quality patient engagement with secure PHI access? Patient engagement is, without a doubt, a key linchpin to the success of healthcare’s triple aim. Simply stated, it is not possible for the healthcare industry to achieve the goals of lower costs, an enhanced patient experience, and improving population health in the absence of strong and sustainable patient engagement. Scour the internet for articles that cover patient willingness to use digital health IT tools to access PHI and you will discover that despite the industry wide effort to adopt tools that provide more convenient and faster access to medical data, few patients are actually doing so. In fact, a recent survey revealed that just 21% of respondents said they use the Web to access their health data. Meanwhile, 10% said they use e-mail and 40% view the data in person. 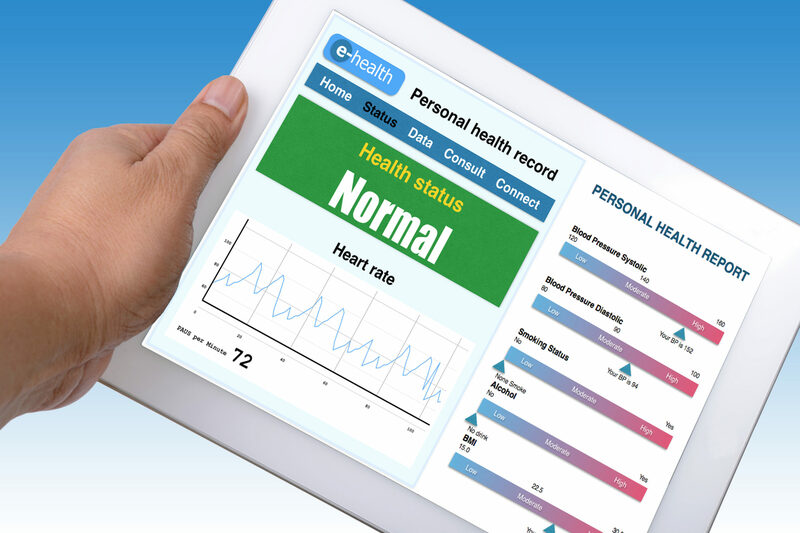 The reason behind patient unwillingness to use mHealth tools and portals for PHI access runs the gamut from dissatisfaction with mobile health applications to challenges in finding and using instructions, data inaccuracy, and device malfunctions or data syncing issues. Furthermore, issues related to poor mHealth app and portal security have hampered more widespread adoption of these tools and stoked patient fears that their privacy could be compromised by using them. Setting aside those with opinions that privacy can never exist in the healthcare industry, the link between patient confidence and trust that their identities and PHI are protected when using mHealth apps or patient portals is palatable and has a direct effect on their willingness to use these tools as part of their overall care. One of the largest impediments to widespread adoption of mHealth tools, portals, and other digital health platforms is inadequate mobile security policies that fail to take into account the necessity of adopting more modern patient identification tools that are commensurate to the data they protect. For example, most healthcare providers continue to use user name and passwords to protect patient identities when using mHealth tools and portals. While these may have once been permissible security protocols in the past, these identity verification methods are now considered antiquated and should be replaced. Even though user names and passwords have proven to no longer be secure enough to protect patient identities, almost all healthcare providers still rely on their use for mHealth apps and patient portals. If healthcare providers expect patients to adopt mHealth tools and patient portals as a more convenient way to access PHI, the implementation of stronger and more secure identification technology is critical. Most healthcare security experts agree that due to the large amount of PHI data moving across provider locations via mHealth apps and patient portals, stronger security is needed to prevent data breaches if a patient’s identity is compromised. Plus, the increasing complexity of mHealth apps and their distinct ability to sync PHI data across multiple devices raises important questions about how to properly protect patient privacy to ensure HIPAA compliance for these new tools. Healthcare organizations must plan to implement a technology that has the flexibility to be used for secure patient and clinician identification, usually through a strategic combination of a strong single sign-on (SSO) platform to establish strict identification checks and provide a concrete audit trail of data access history with an enterprise-wide patient ID solution to secure remote access to PHI from mHealth apps and patient portals. The modern identification technology of choice for many healthcare providers to meet the rising demand for tighter security to access PHI is biometrics. Lack of a strong PHI access policy can also have a negative impact on provider reputation. In a recent report on medical identity theft by The Ponemon Institute, 79% of patients surveyed said it is “very important” for healthcare providers to ensure the privacy of health records and allow them to have direct control of their health records. Most patients don’t want to worry about memorizing a complex password and thus default to using a simplistic password that’s easily guessable. Most patients use the same password for many accounts, resulting in one key that unlocks dozens (or hundreds) of doors. Most patients don’t even keep their passwords in secret. Everything from Netflix accounts to bank accounts to web accounts to video game accounts are often shared between friends, family members, and even strangers. The use of biometrics for individual identification poses a much more secure and flexible technology to address the pressing need for healthcare to adopt stricter PHI access security protocols. Why? We have written extensively about the applicability of biometric patient identification to improve patient safety in healthcare. Biometrics relies on identifying patients and clinicians by who they are, rather than what they have (ID badges) or what they know (user names, passwords) which can be more easily stolen or shared. Biometric identification technology is a more secure method to identify patients in self-driven interactions by allowing them to use the camera or microphone on their smartphone or tablet and use facial or voice recognition biometrics for accurate authentication. Biometrics offers more flexibility and convenience because it has the ability to be implemented at patient touchpoints where user name and password entry would be cumbersome and inappropriate — home health settings for example. The use of biometrics for identification also offers a concrete PHI access audit trail, a more accurate tracking mechanism than user names or passwords which can easily be shared and often skew analytics because it’s impossible to determine the actual individual using the credentials. This is important because litigation often relies on these audit trails used in the defense of medical identity theft or healthcare fraud claims. Participation in portals and the use of mHealth and other mobile apps to access PHI is a key catayst to increase patient engagement in healthcare. Patients must have the confidence in their healthcare provider that their PHI is easily accessible and protected with the strongest authentication security on the market that ensures their privacy and safety. User names and passwords are no longer sufficient authentication credentials to meet the expanding need to offer a more flexible, scalable, and more secure identification technology for mHealth apps and patient portals. Equally important is protecting clinician access to sensitive PHI data. Protocols must be implemented that abandon user names and passwords in favor of technologies such as biometrics that are more secure, less susecptible to being stolen or shared, and leave a concrete PHI data access audit trail. Have questions about the use of biometrics for patient identification in healthcare? Feel free to leave a comment or question below.